Who can countersign my passport application photo? So you’ve got your passport photos from PasPic.com and you’re all set to apply for your UK passport. The form is filled in, and ready to send. Your passport photos are perfect and meet all the requirements which the government demand. There’s just one small matter – the countersigning of your passport photo. The person who you ask to sign your photos is called a countersignatory. They are used simply to verify you are who you say you are. Because this is a pretty important role, there are strict rules about who is allowed to be a countersignatory for a passport application. You can’t just grab anyone off the street to be a countersignatory either. Any countersignatory must have been known to the passport applicant (or the adult applying on behalf of a child) for a minimum of two years. It is asked that they can easily identify the applicant as a colleague, friend or neighbour, rather than just someone they’re aware of in their professional capacity. The final requirement is that they’re a “person of good community standing” – in other words, they’ve held a respected role such as doctor, solicitor, accountant or teacher. Your countersignatory cannot be someone who you’re related to, either by birth or marriage, and can’t be someone you’re in a relationship with, or sharing an address with. 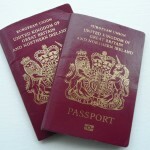 If you’re applying for your passport from within the UK, the countersignatory must be living in the UK and hold a current British or Irish passport. Apply from outside the UK and your countersignatory must hold a current passport from Britain, Ireland, or another EU country. American and British Commonwealth passports are also accepted. Make sure that you follow the countersignatory rules closely. While not all countersignatories are contacted to verify the information you have provided, you want them to understand the responsibility of signing your passport photo before you send the application off.